Are cortisone injections a good treatment for my pain? Just last week a patient came in to see me and as I do with all new patients, I go through the entire case history to get an understanding of what he was facing. This patient had already had 3 cortisone injections into his low back. The first one gave him 2 weeks of reduced symptoms and the other two hadn’t done anything at all to change the pain. The patient was understandably not happy with this and was looking for answers to what is causing the pain. This is not an uncommon story that we hear. Repeated attempts to help patients who are suffering with ongoing pain by jabbing them with cortisone. Continuing with multiple expensive and often traumatic injections, even in the absence of any benefit! The evidence is pointing in completely the opposite direction. Pain in the muscle, nerve and joint system is a physical problem, and requires a physical solution. I think that most people inherently understand that simply injecting a anti inflammatory chemical into a problem area is doing nothing to fix the reason that it is irritated in the first place. But we still try, we trust our doctors and radiologists to make the best call for our health. But the evidence and logic says an emphatic no. There are 3 main underlying reasons that cortisone injections are a terrible first choice of treatment for most chronic pain. The best thing you can do if you have been offered a injection to solve your pain is ask questions. Does this have any long term benefits/harms? What are the chances that this will fix my problem? Is there any other form of treatment that might help me reduce the pain? 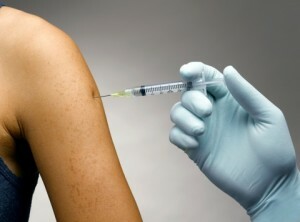 The majority of cortisone injections are given to people who are suffering with a degenerative condition. For example, patients presenting to their primary care physician with the complaint of knee pain are often prescribed cortisone shots to try to dull the pain in their degenerative knees. The problem here is that the active ingredients in cortisone actually contribute to the breakdown and degeneration of the cartilage! So you are in effect injecting something straight into the joint that will make it worse. Now in our clinic we are always focused on the long-term benefit of any interventions. And even if there is short-term reduction in pain levels the studies show that these patients who undergo cortisone injections have worse outcomes down the track than patients who just put up with the pain. The pain is there for a reason – taking it away is to your own detriment! Speaking of pain – the number one reason that cortisone is administered in the first place is to reduce pain. It sounds wonderful in theory, but if you think about it for a minute or two it’s easy to see that the pain is there for a good reason. It’s a protective mechanism that prevents us from putting pressure on to damaged, inflamed and angry tissues. Just picture this – Imagine you went over hard on your ankle while on the soccer pitch. You hear a snap and there is instant pain and even some swelling. You come off the pitch and there is a man in a white coat with a medication that will completely take away the pain. You take it and hey presto! The pain is gone and you run back on to the field to finish the game. What do you think the outcome is going to be? Of course, this is a terrible idea! Well…. It’s the same for other injuries too. With the rise of the use of injections to reduce pain there has also been a rise in the number of joint replacement surgeries. This is no coincidence. If you chemically take away the pain with a substance that wrecks the tissues itself you are providing the perfect recipe for degeneration, pain and joint replacement. It’s like trying to put out a fire with petrol. A bad idea.. There are of course a few limited situations where the use of these interventions is a sound idea. It’s just way too often that patients are not warned properly of the damage that may occur and the other options that are now available in the form of expert musculoskeletal assessment and treatment. These are just the first couple of articles that come up in a google search, have a look for yourself – this is not hard to find information. There are of course some studies that show there is some short term benefit to injections, but it’s to the detriment of longer term health. It’s part of a standard informed consent to warn patients of the inherent dangers of cortisone. So what do you use to alleviate the awful pain instead that doesn't have side effects. Interested to know? ??? Hi Carol! Our approach is far more in depth and is focused on finding the underlying cause or causes of your pain. Whenever there is inflammation it is there for a reason. The diagnosis and treatment of musculoskeletal pain is complex but highly possible in the majority of cases. Most providers skip this step and jump to the treatment that they like to perform the most. Whether that's manipulation, exercises, injections, surgery etc. Where there is muscle, nerve or joint pain there is in most cases a physical reason for it. Therefor there is very often a physical solution. Does this answer your question? Basically I am saying that most problems can be much better managed through getting a clear and accurate diagnosis and carefully selecting an appropriate treatment plan.